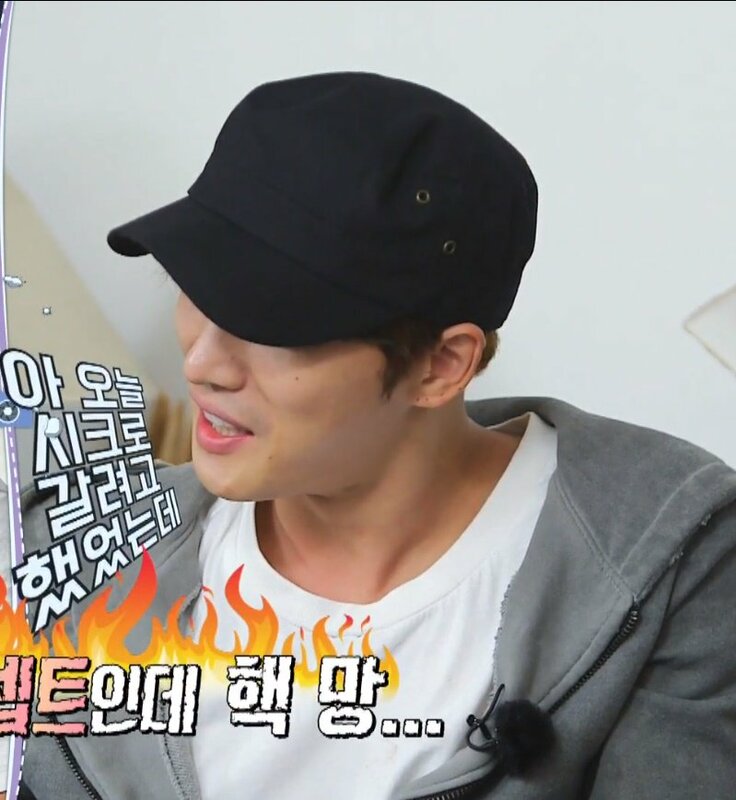 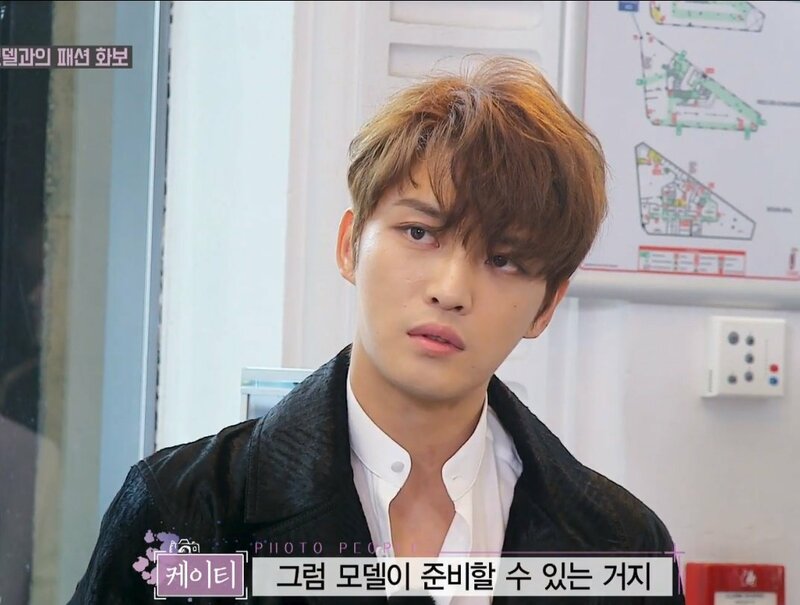 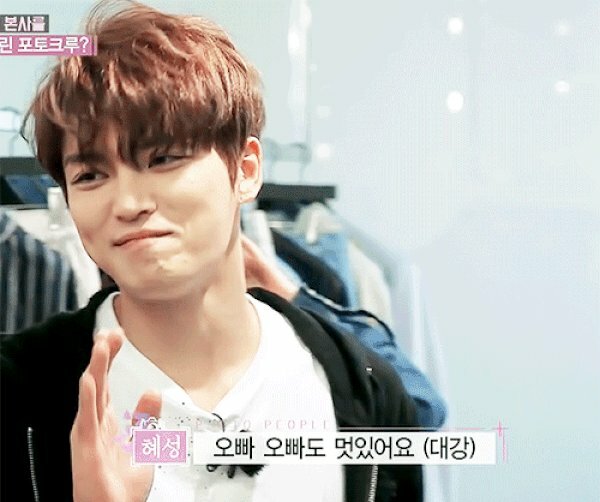 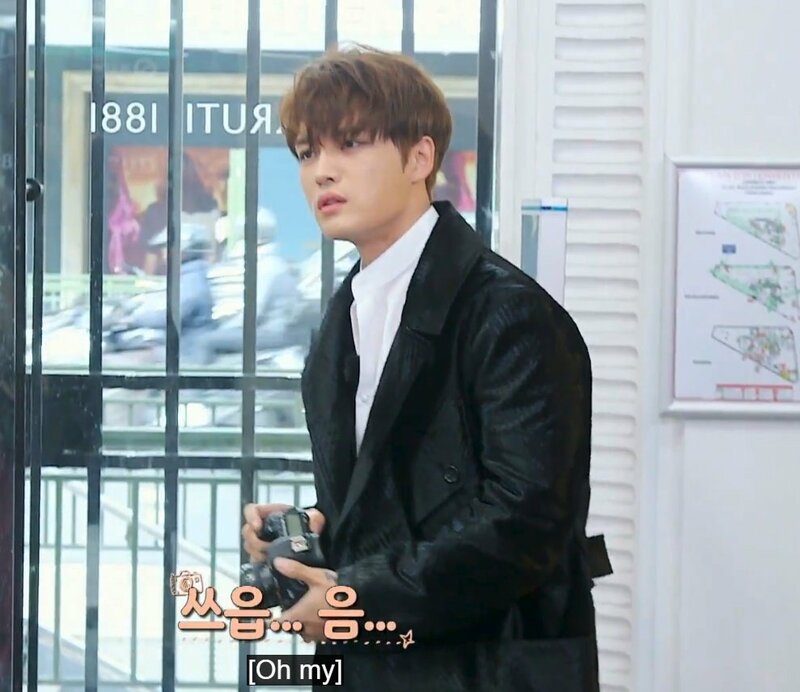 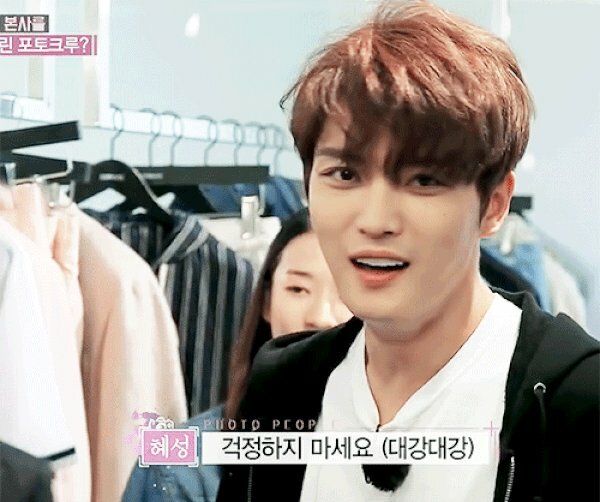 That -jejung okaeri- warmed my heart. 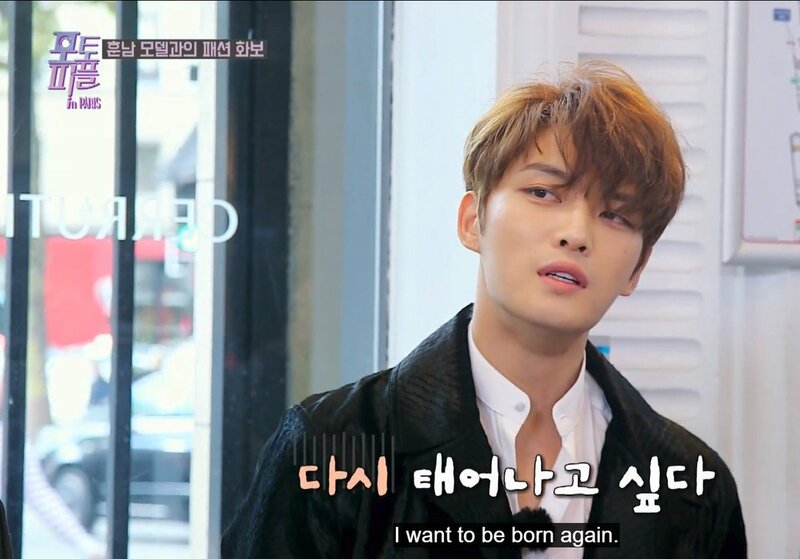 Indeed, Japan is his 2nd home. 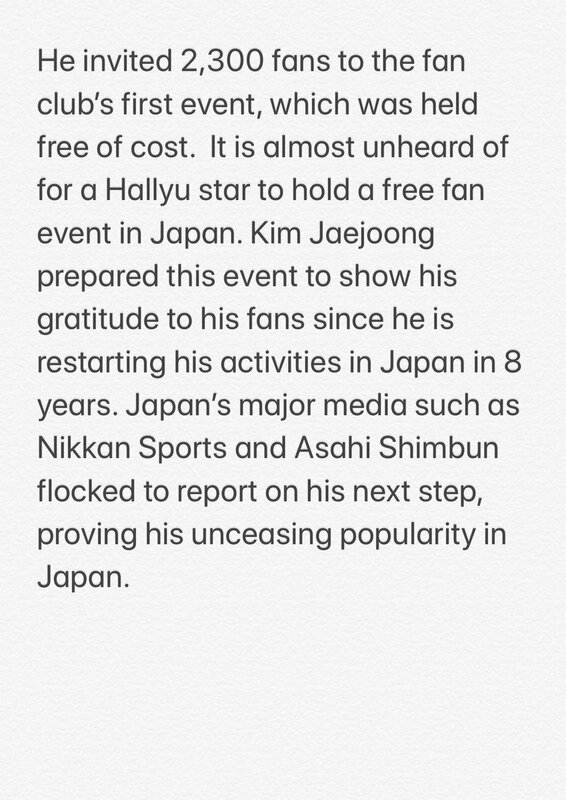 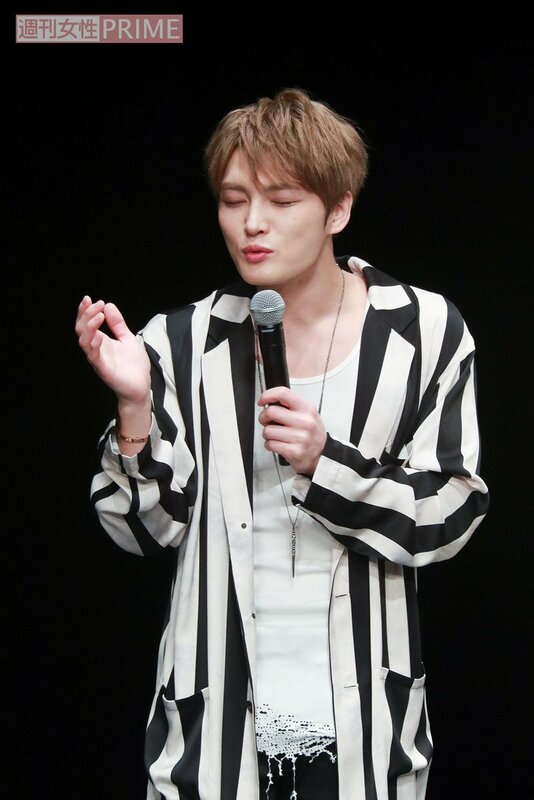 Kim Jaejoong will officially return to promoting overseas in Japan after 8 years, he said during a recent fan meeting. 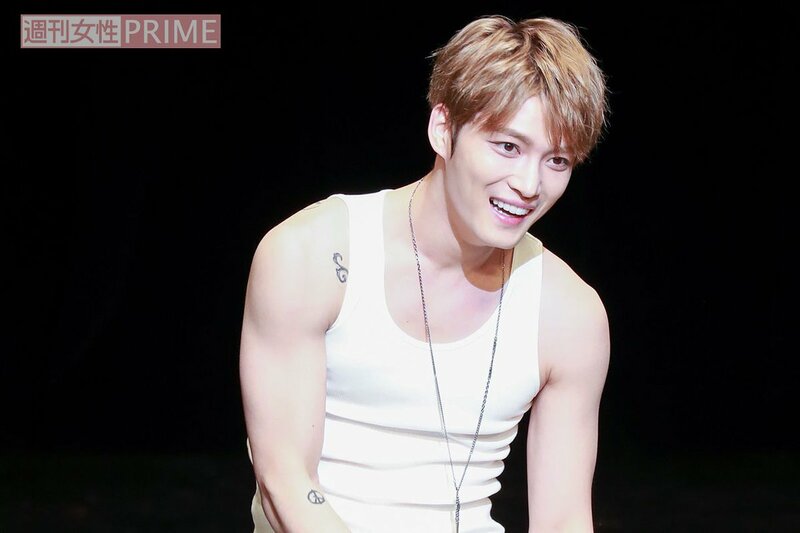 The singer/actor established his fan club ‘JAEFANS’ last year in December, kicking off his Japanese performances. 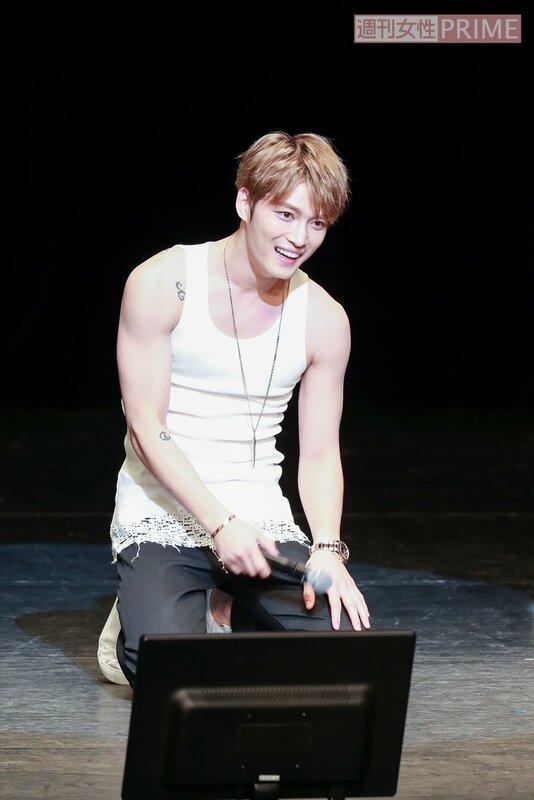 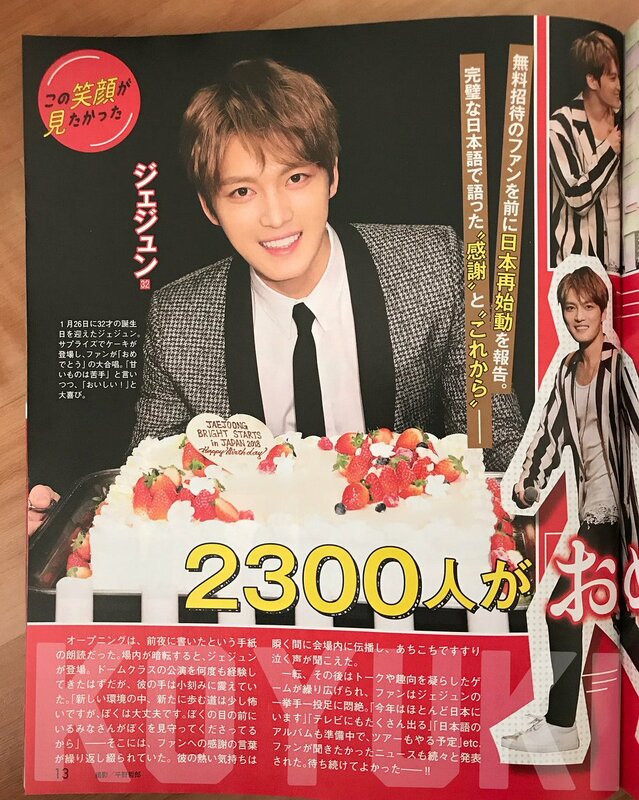 Then, on February 1, Jaejoong held a fan meeting in Tokyo with 2,300 fans, where he made the official announcement. 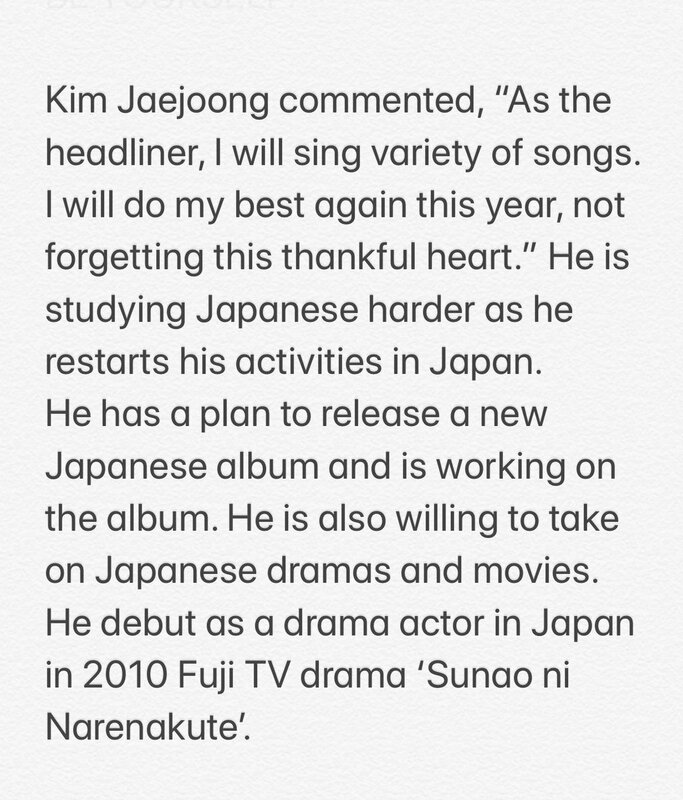 He shared, “I think it has been 8-9 years since my official Japanese promotion. 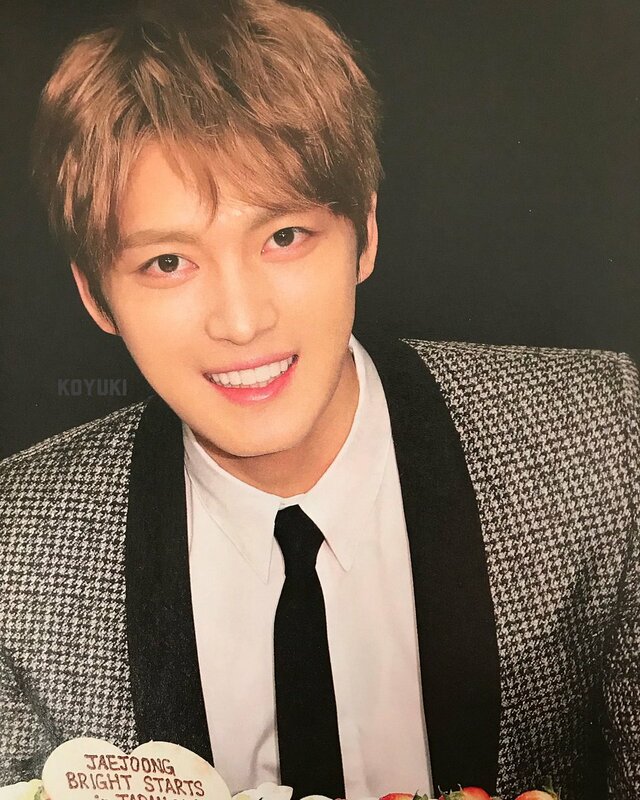 I am eagerly studying Japanese at the moment.” The singer is said to be working on a new Japanese solo album. 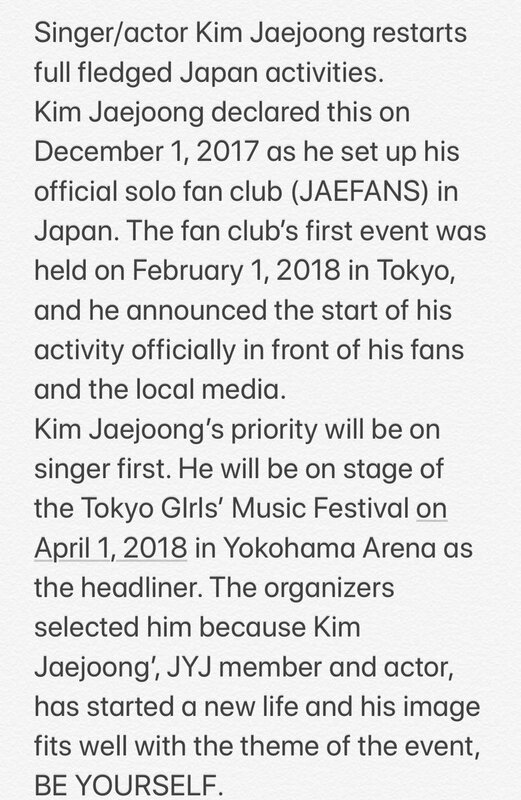 Furthermore, Jaejoong will be appearing on stage this spring at the ‘3rd Annual Tokyo Girls Music Festival 2018’ at Yokohama Arena on April 1 with the theme, ‘Be Yourself’. 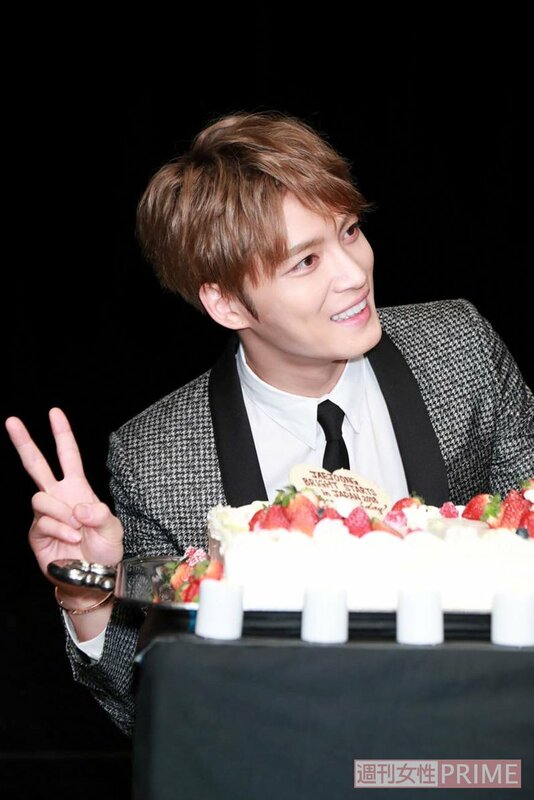 Meanwhile, Jaejoong had the privilege to celebrate his birthday with fans in Korea last month on January 27. 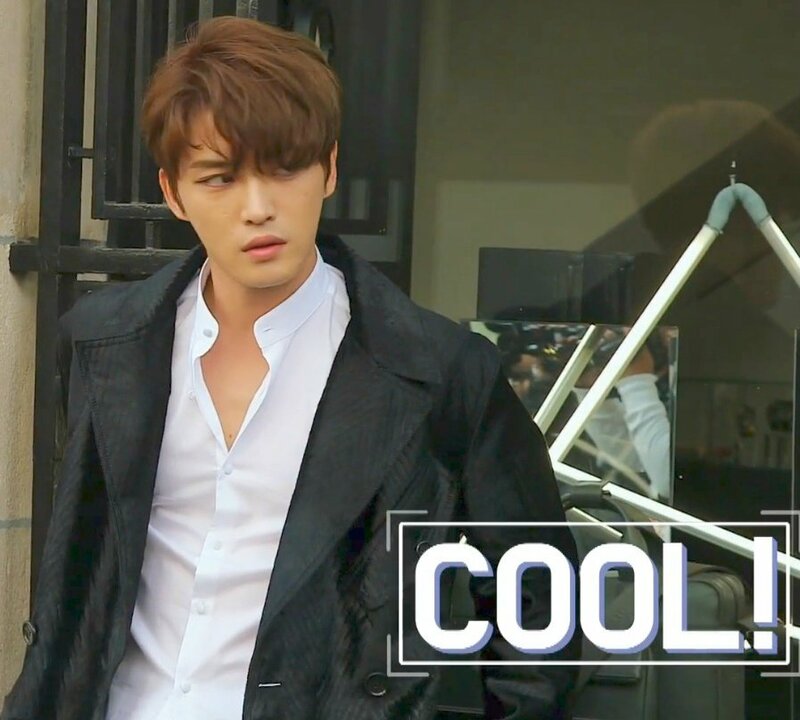 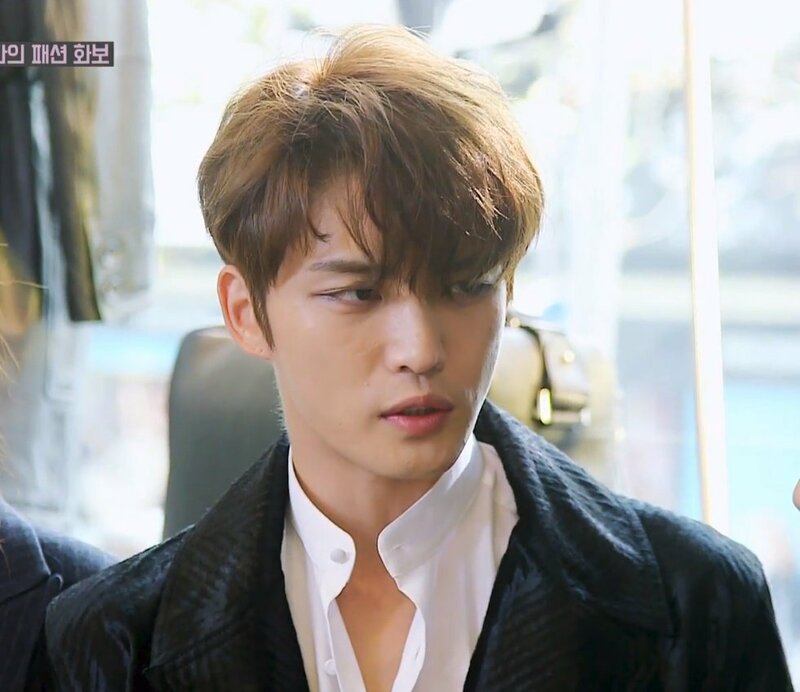 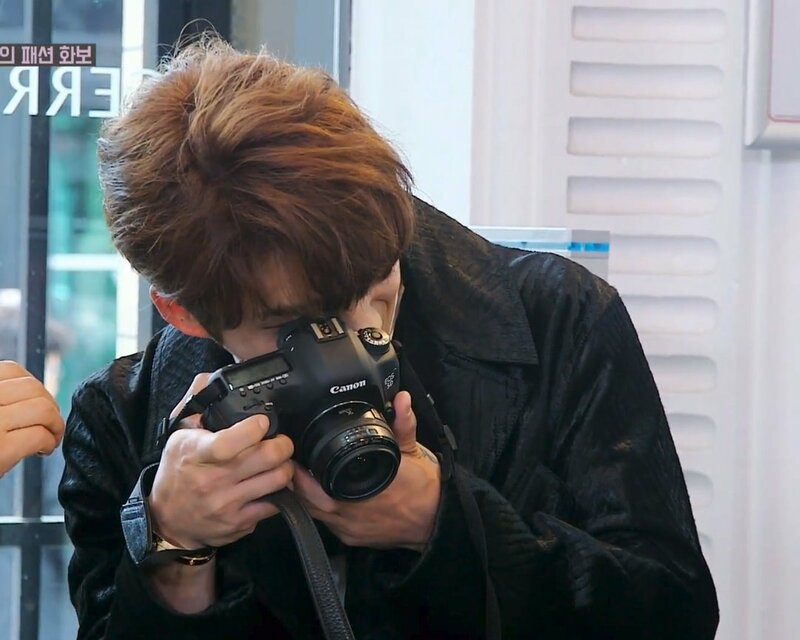 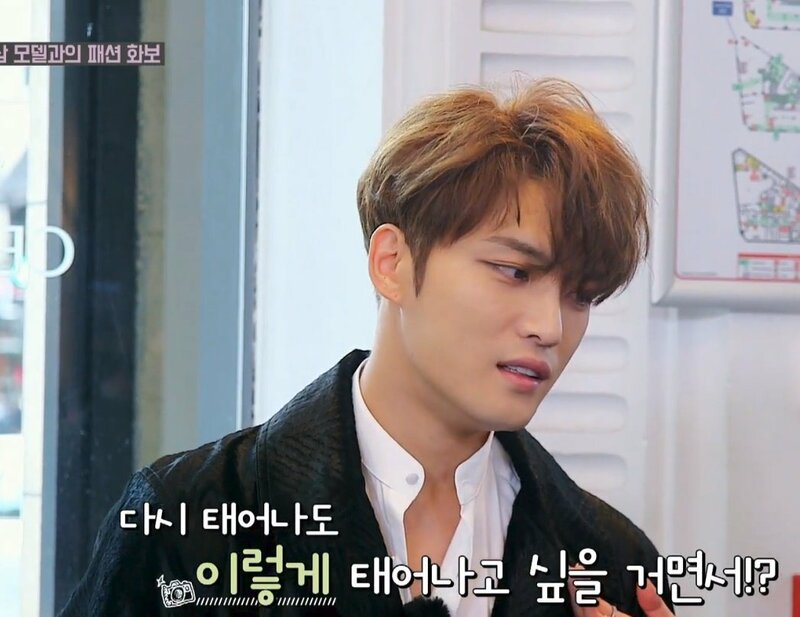 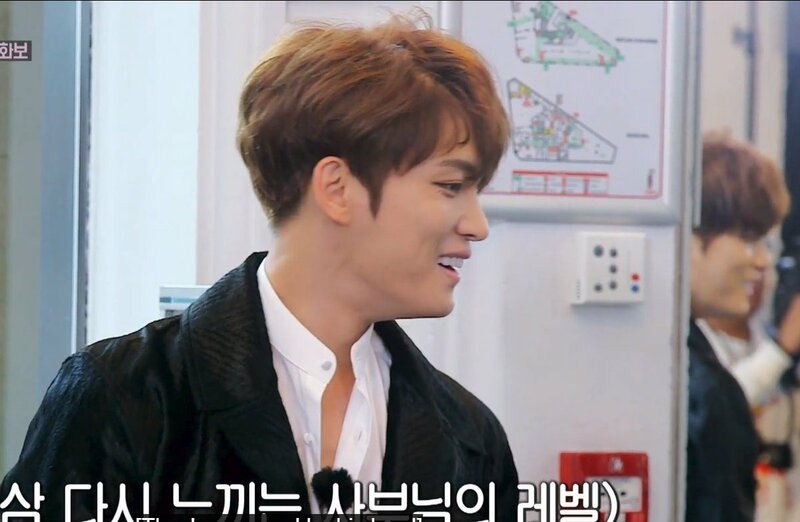 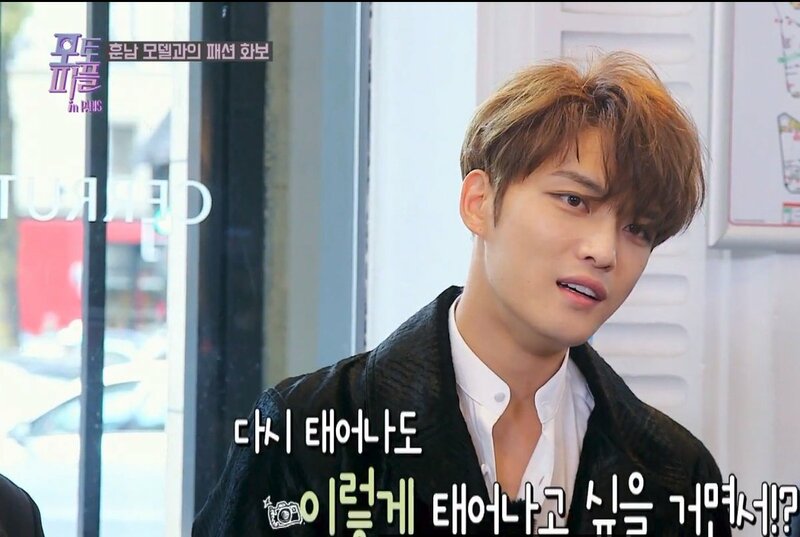 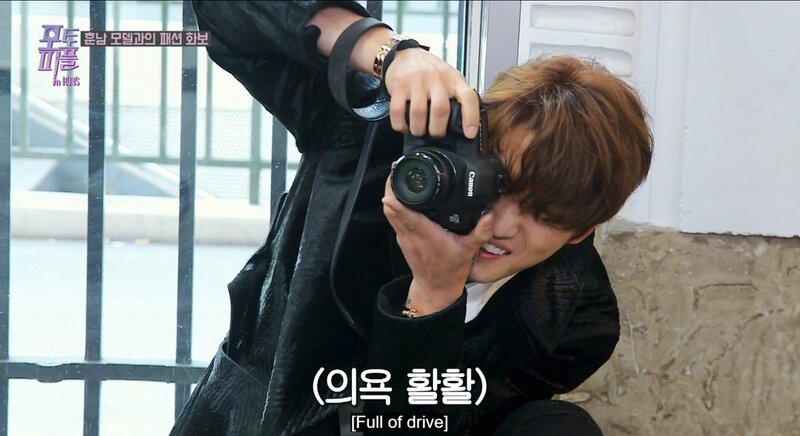 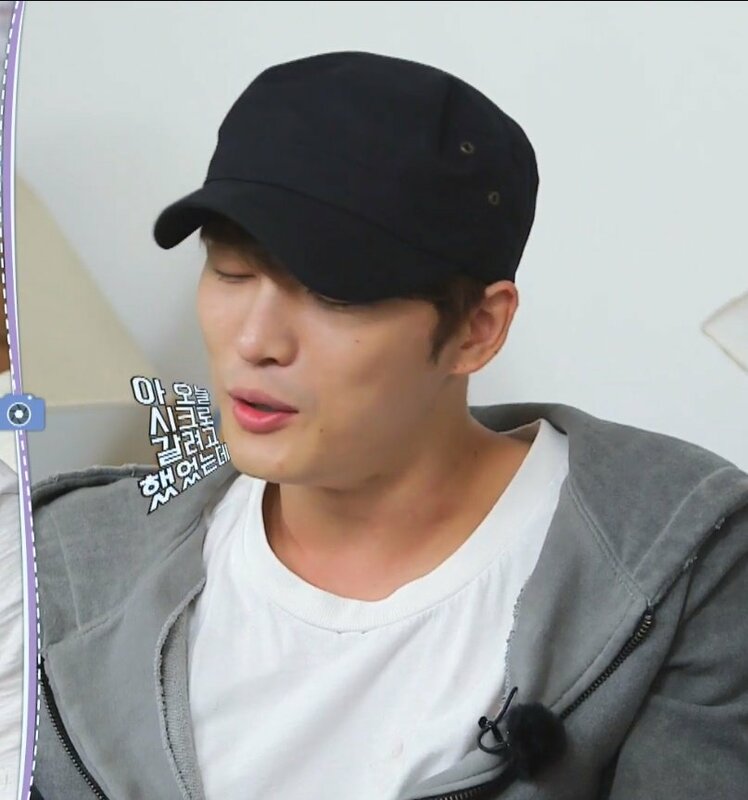 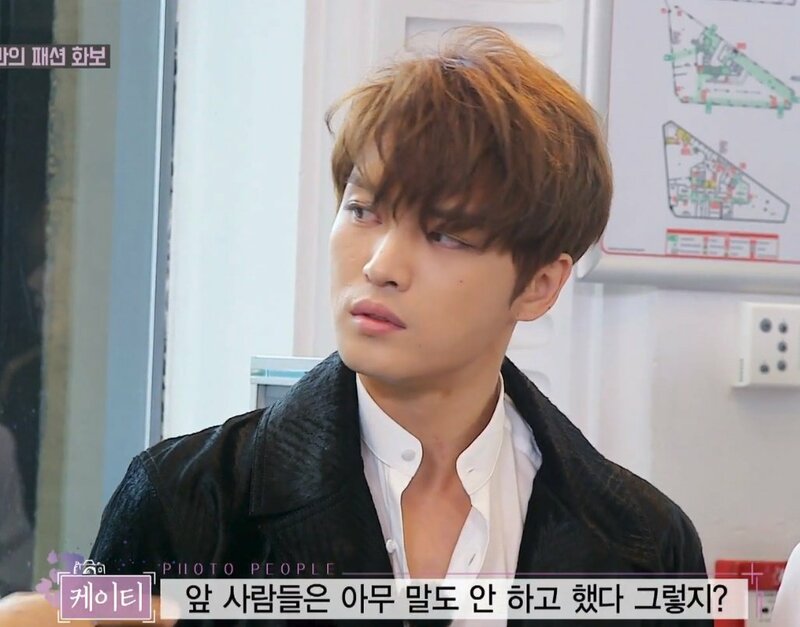 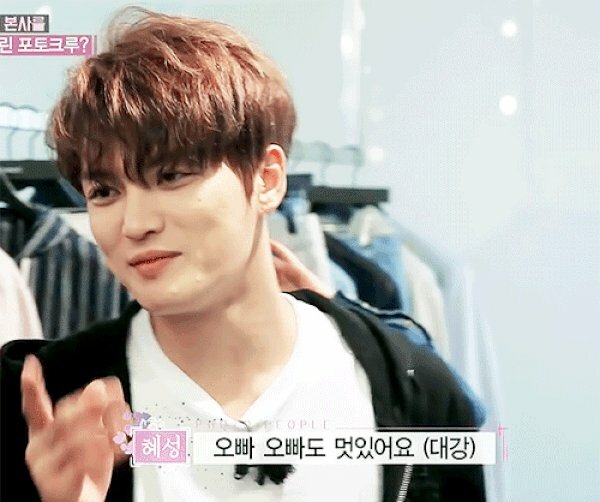 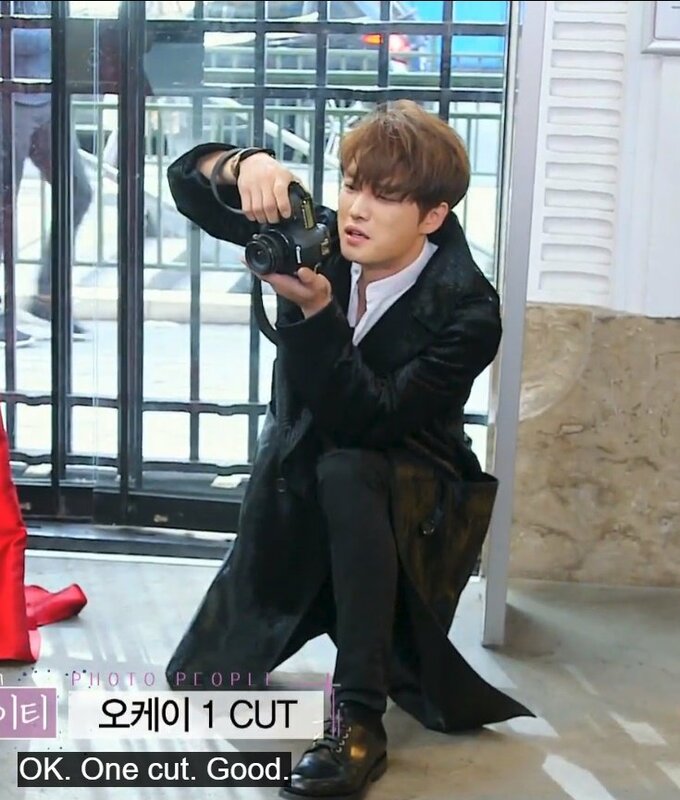 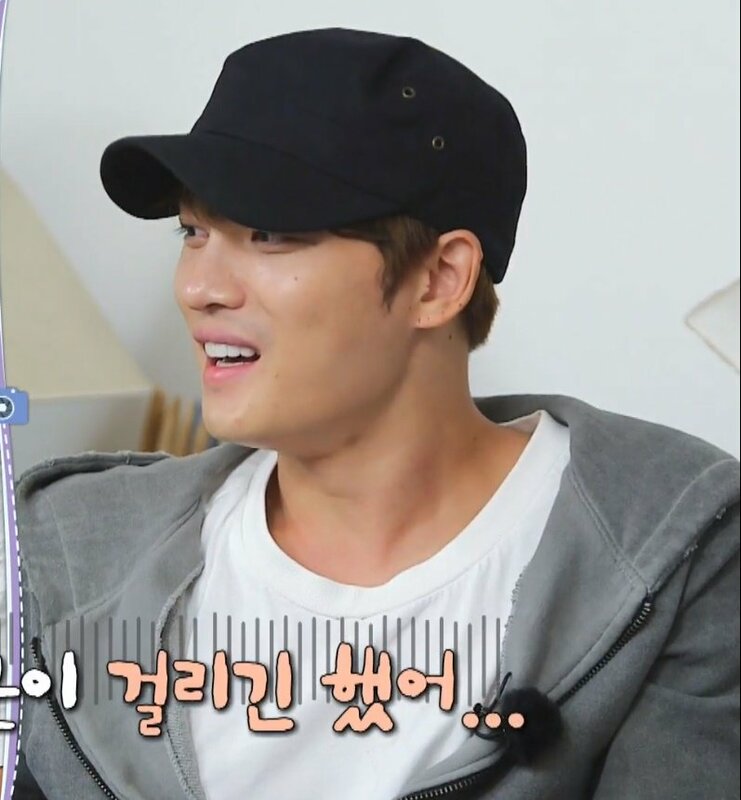 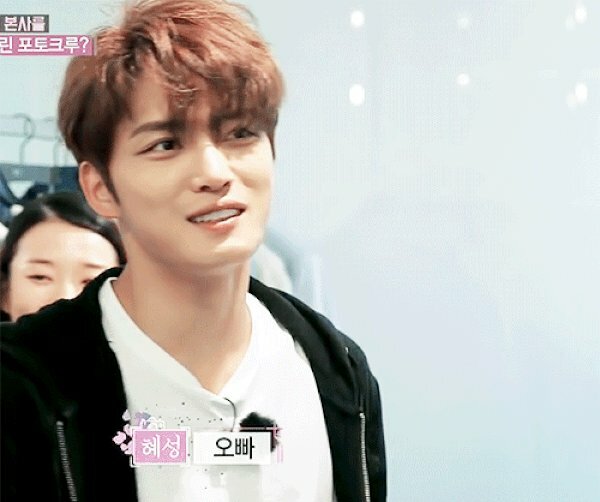 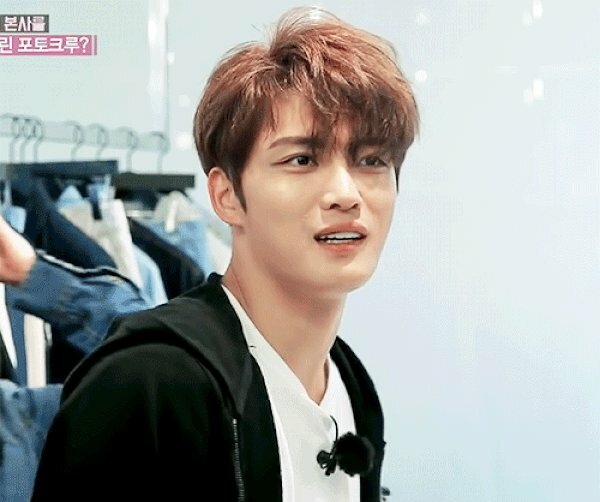 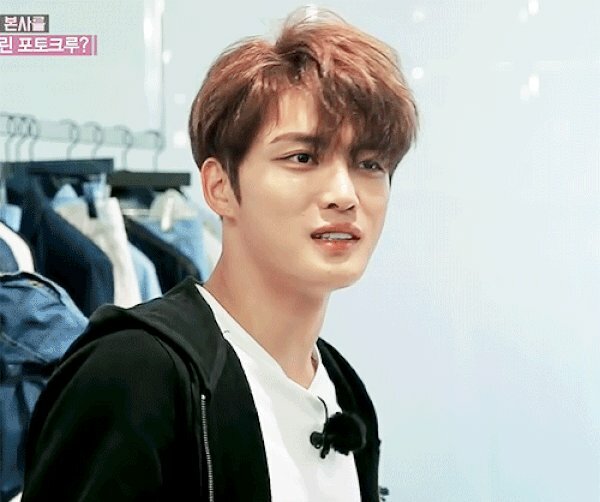 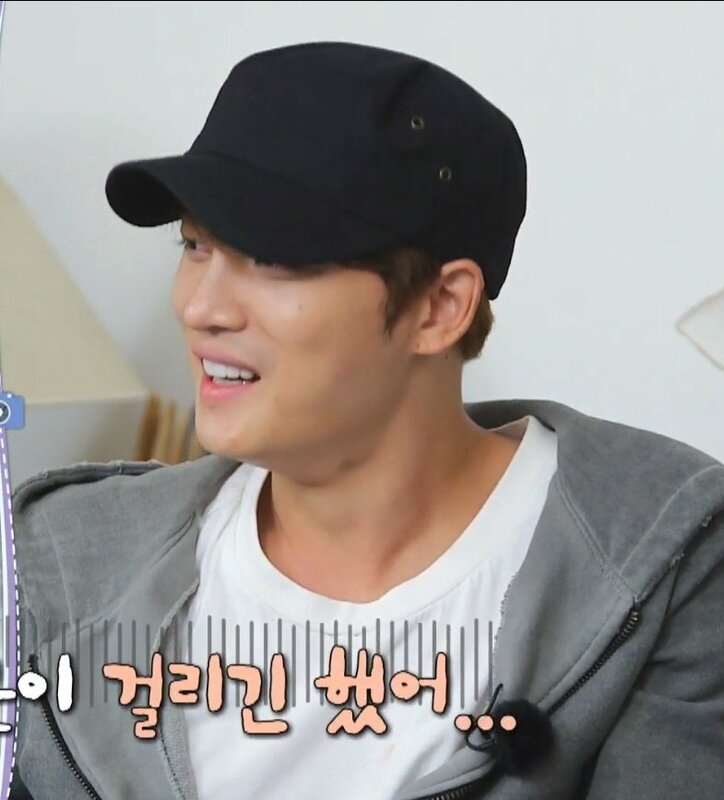 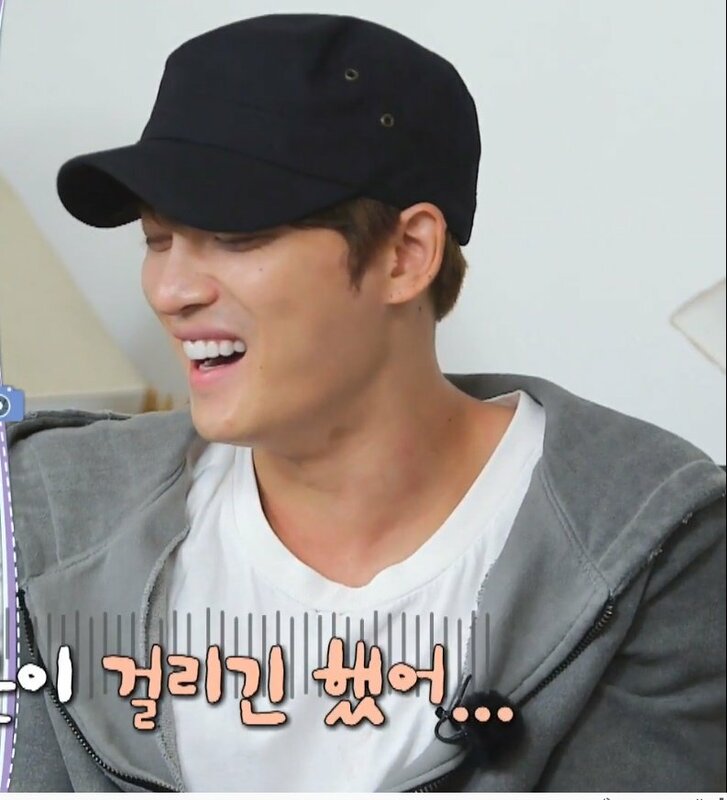 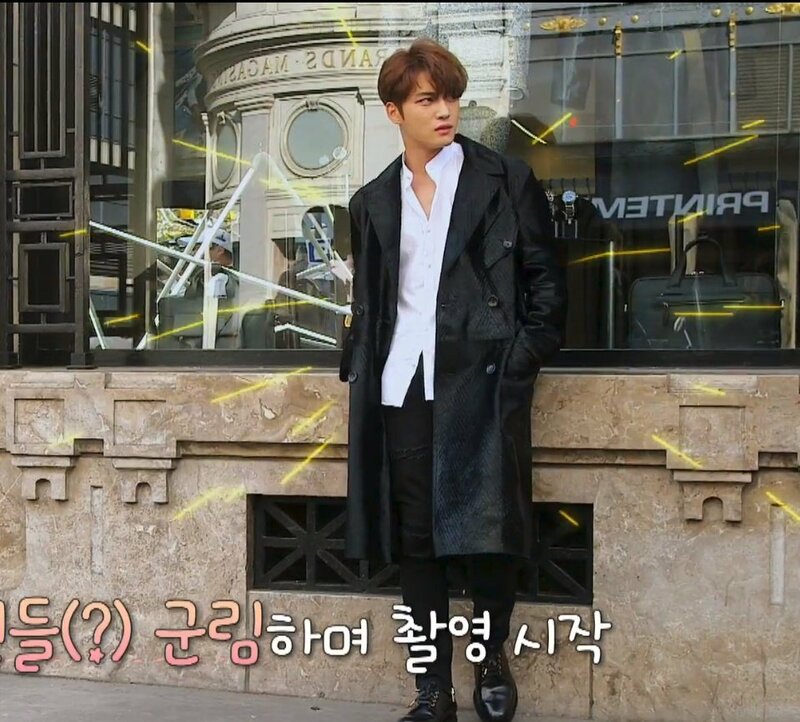 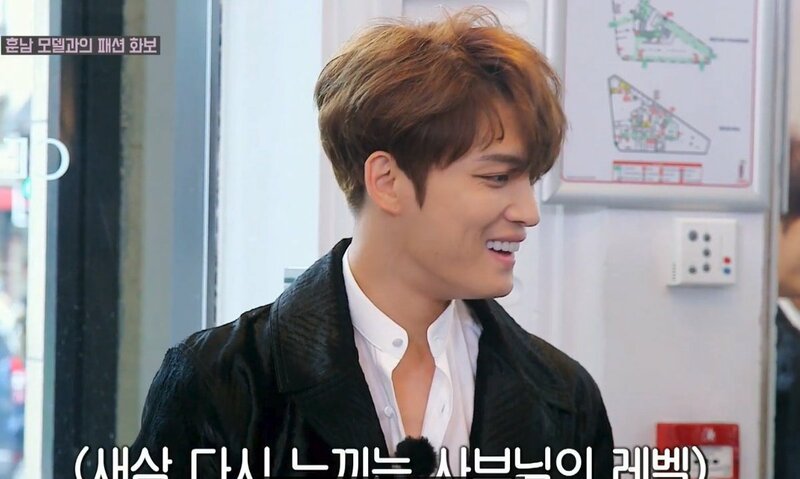 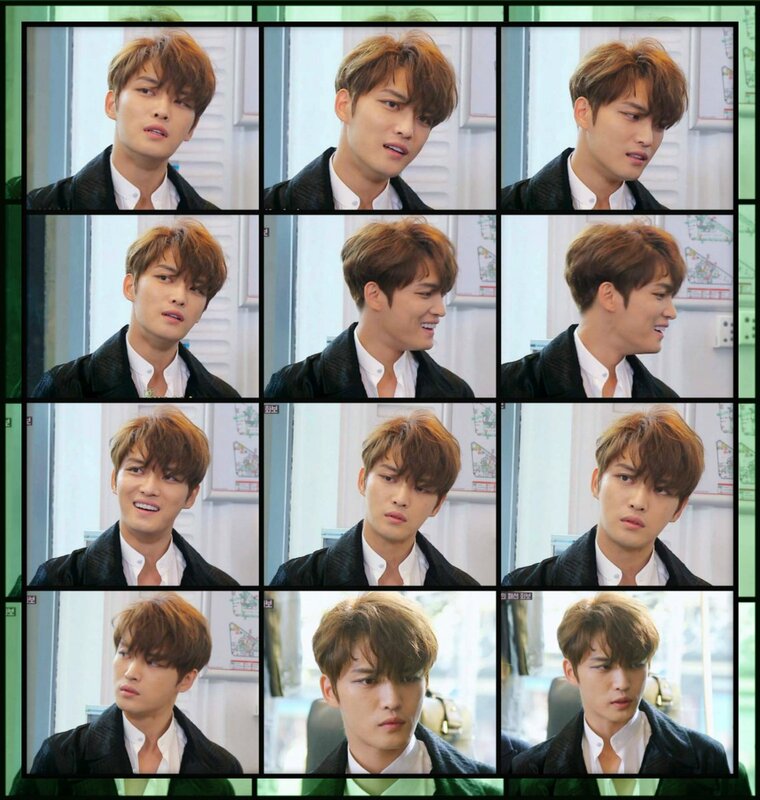 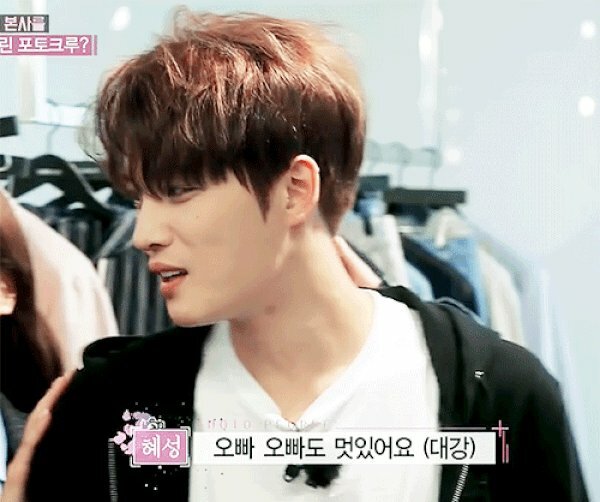 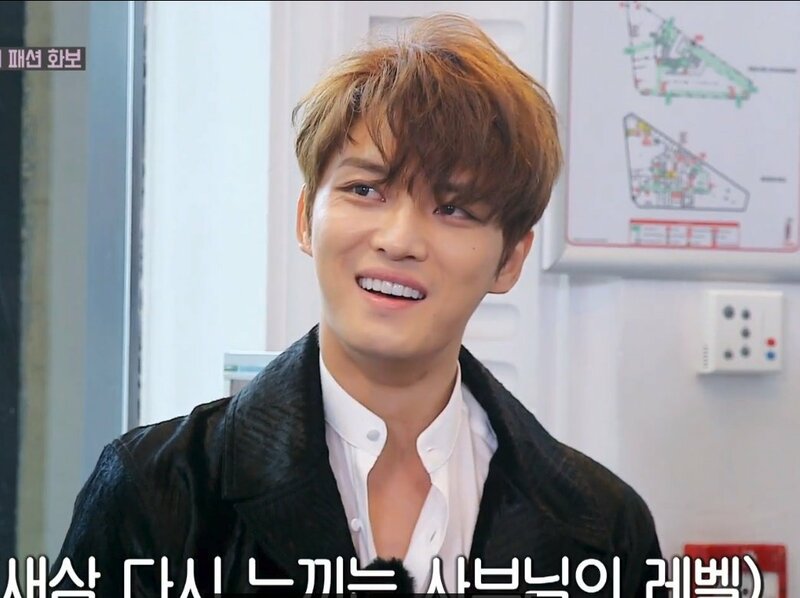 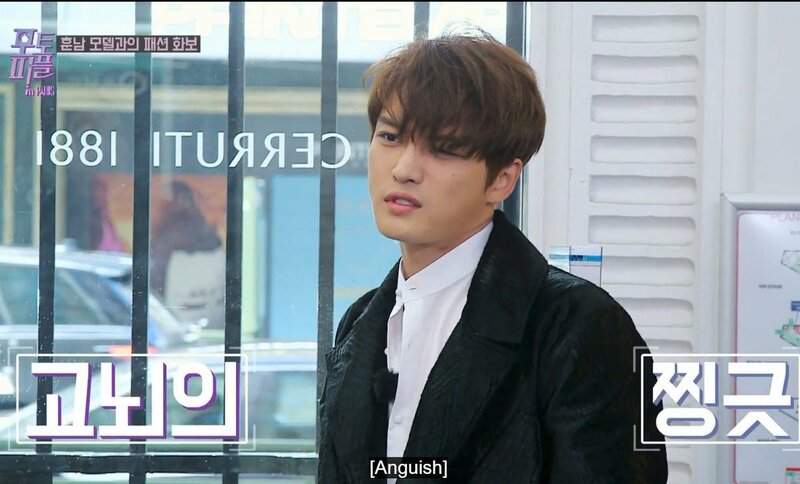 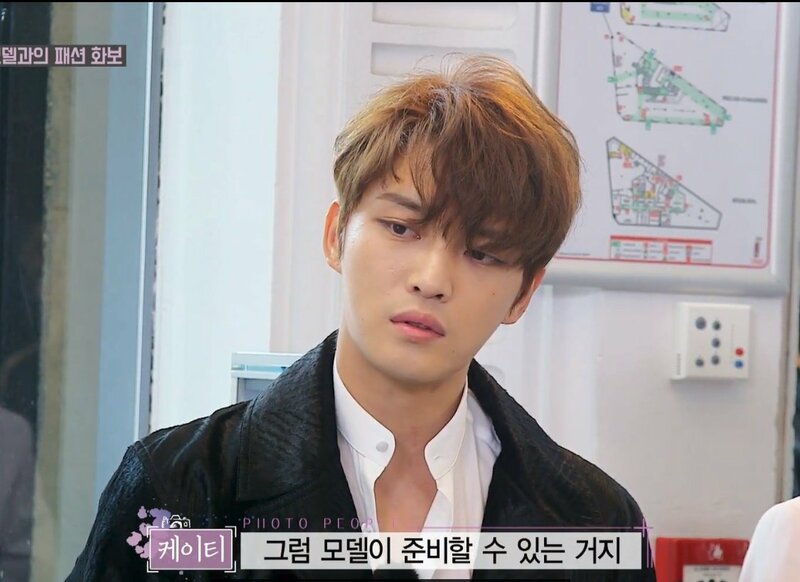 Stay tuned for more of Jaejoong’s Japanese activities! 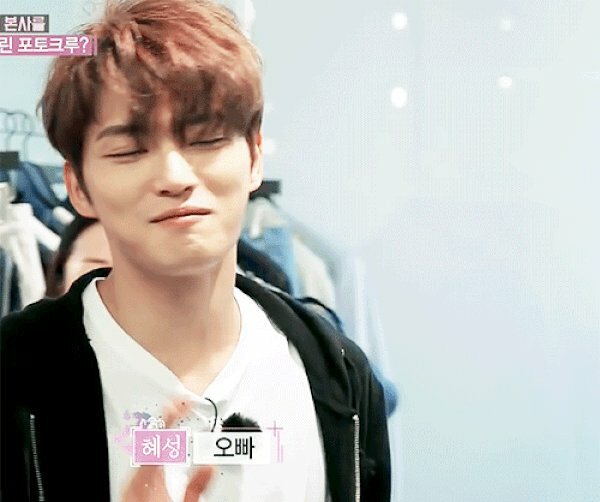 Let’s pray hard that everything will go as planned.